A lot of research has recently come out praising the health benefits of kimchi, a popular fermented food originally from Korea. It’s made by a simple process of fermenting cabbage, spices, and other vegetables in a tightly closed jar. Although traditionally made kimchi does have a specific type of crock that is used, it can be made at home in glass jars. Kimchi is practically a super-food; a low-calorie, high fiber condiment that can be used to heal many ailments and improve overall health. Due to the fermentation process kimchi is an excellent source of probiotics, these are the good bacteria that help your body fight off various infections. Kimchi is also packed with vitamins and minerals such as vitamin A, some B vitamins, iron, calcium, and selenium. These all contribute to supporting muscle growth, improve your immune system, and improve blood flow. If you suffer from high cholesterol kimchi may be the answer you’re looking for as part of a heart-healthy diet. Recent research has proved that kimchi has the ability to lower cholesterol levels when eaten on a daily basis. Garlic, one of the key ingredients in kimchi, is a great source of both allicin and selenium. Allicin is a well-known compound that can reduce cholesterol levels, which will help decrease chances of developing strokes and heart attacks. The selenium, another active compound in garlic, can help lower cholesterol levels by preventing cholesterol plaque from building up in your artery walls. The fermentation process to make kimchi also contributes to the delicious taste and creates a rich source of probiotics. Probiotics are the healthy bacteria your body needs to maintain a balanced state of bacteria in your colon. The cabbage, which is the main ingredient in kimchi, will also help your body get rid of waste, and stabalize your bowel movements. As a weight loss food kimchi is believed to be highly supportive due to its lactobacillus content. Lactobacillus is one of the many good bacteria your body needs to function at a top level. This good bacteria in kimchi can help control your appetite by lowering blood sugar levels. The fiber content in kimchi may also help you feel less hungry so you are not as likely to over=eat during the day. Most of the ingredients used to make kimchi such as ginger, pepper, and garlic have all been known to support the immune system and are believed to have the ability to stop or shorten cold and flu symptoms. The antioxidants in kimchi are beneficial for protecting your body from free radicals. There are some theories which support the idea that high levels of free radicals may increase susceptibility to flu and colds. Eating kimchi regularly may also help reduce your chances of developing certain cancers, such as stomach cancer. It is the cabbage used to make kimchi that gives it powerful antioxidants and flavonoids known to help prevent cancer. Along with the antioxidants and flavonoids it possesses, cabbage is also a rich source of glucosinolates. Glucosinolates when digested convert into a compound known as isothiocyanate, which is an effective anti-cancer phytochemical found in many cruciferous vegetables.. Although kimchi is considered a super-food with extraordinary health benefits it is important to eat it with caution. Eating too much of this fermented dish can cause digestive distress and may even increase your chances of developing gastric cancer. Also if you have high blood pressure be sure to carefully monitor your kimchi intake as it normally has a high amount of salt in it. You can eat kimchi by itself as a pre-meal or with meal condiment, add it to soups, to rice, or as a topping on sandwiches. John Maddox is an experienced herbalist who writes about natural alternatives to medicine, nutrition, diet, and fitness. He is currently doing research on natural acne treatments; his work can be found online at Natural Acne Med. It’s never the same thing two weeks in a row. This is a snapshot of what I find interesting; health, nutrition, and holistic living. Here’s what’s on my mind. The mother who stood up to Monsanto in Argentina – Monsanto and their agrochemicals are not only problematic here in the US, but are having a hugely negative effect around the world. We often don’t hear much about what is happening in other countries, sometimes leading us to believe we are the only ones fighting. Sofia Gatica plans to take on Monsanto not only in Argentina, but all across South America. Canadian nutrition labels often misleading – This is, to put it bluntly, extremely frustrating. Calories, fat, sugar, were all potentially understated. And positive ingredients were possibly overstated. This means that some foods looked far healthier than they actually are. If you can’t rely on the nutrition label to accurately relay the facts of the food it becomes even more difficult to make appropriate choices. Whole food still is the best way to go. However we live in a real world and that does include the influence of other foods. The label is one way to help you navigate prepared or processed foods. Unfortunately it appears that this was widespread across a wide variety of manufacturers. Kraft and Heinz were included, but so were companies such as Eden Organic, Kashi, and Amy’s Kitchen. While the issue will hopefully be resolved, this situation does beg the question, what about the other locations where these companies sell their products. Like the United States. Football fields to farms – Given how committed many schools are to their football teams this article caught my eye. Becoming partners in the community and helping to support agriculture in an area that was classified as a food desert, the college is making a difference. Even better they have added farming as part of the curriculum so their students can learn how to take care of the land. Knowledge that they will surely take with them when they graduate. A week in the life of a food stylist – I’ve always been interested in food photography and food styling. I’m not very good at it and really appreciate the beautiful work of those who are. But the truth is sometimes a little sad because the food isn’t always how it appears. “1:40pm: We got some sad mangos today. It happens. I had to give them a soak in water with a little bit of food coloring added to so that I could boost the color and “mango-ness” of them.” Artificial colors…rats. Fermentation – that’s on my mind a lot as I make fermented foods such as kefir and fermented vegetables. I was really pleased to come across this BBC Radio 4 program on The Fermentation Revival which included some members of the UK chapters of the Weston A. Price Foundation, an organization which promotes traditional foods, as well as an interview with Sandor Katz. Here’s a video of Sandor Katz demonstrating making fermented saurkraut. Wardeh Harmon is a wonderful and knowledgeable traditional foods expert who I met at the Wise Traditions Conference 2011 in Dallas. It was great to get to spend a little bit of time with her at the conference and I’ve enjoyed following her online. The book looks great and is sure to be a wonderful addition to any traditional, nourishing foods kitchen. If you’re going to get into fermenting foods I strongly recommend that you purchase a set of pickle weights made by my friend Sandy Der. I bought mine two years ago and love using them. They’re cute, functional, and work very well. And if you want to get serious about fermenting foods you’ll need to pay a visit to the nice folks at Cultures for Health, they’ve got just what you need to get started. My water kefir culture, also known as tibicos, came from them and is going strong. I’m thinking about separating some of them to try to make ginger beer which my husband used to drink as a kid and loves. Cocoa can be the new cranberry – according to this article there are some studies that have promising results for it’s antioxidant flavanols. While I do believe that there is quite probably some health benefits this emerging claim needs to be approached with caution. Firstly the studies are all being done by major chocolate companies, especially Callebaut, one of the world’s largest confectionery producers (formerly Belgian, now Swiss-owned). 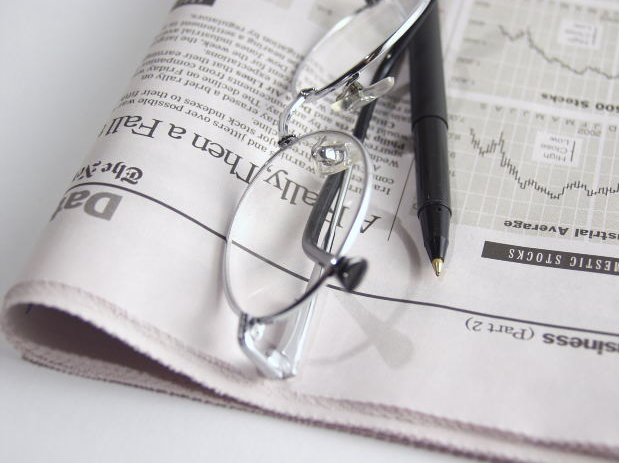 Any study done by a company that has a vested interest in it’s end results needs to be examined more stringently in order to avoid any potential bias. Secondly, even if cocoa does have major health benefits that is for cocoa. The raw product. This does not cover chocolate products that are made from a cocoa base. Unfortunately I have visions of Cocoa Rice Krispies trumpeting major health claims on the front of the box if these studies are proven scientifically valid. So while I will be watching and reading further about this I am advocating that this news be taken cautiously and not as an excuse to add processed cocoa to the diet with abandon. Potatoes may offer blood pressure benefit – the caveat here is that this refers to purple potatoes. My personal bias against this article is that it refers to potatoes simply as a vegetable. In my practice I have gotten into the habit of labeling types of vegetables so that people understand that not all vegetables are equal. Potatoes are a starchy vegetable, there are also crunchy vegetables and leafy vegetables, etc. Limiting starchy vegetables in our diet makes sense, if only to encourage people to eat a wider variety of vegetables. A little research reveals that purple laver (a type of seaweed) also has anti-hypertensive qualities, as did purple carrot juice. This all seems to suggest that anthocyanins, the substance responsible for that purplish-red pigment, may be responsible. Should the news media start to promote this and someone begins to manufacture anthocyanin-only pills I’d like to the be the first one to tell you to get your anthocyanins through your food. Can fermented foods make you healthier – in a word, yes. We don’t eat enough of these in our modern diet. We’ve gotten away from traditionally lacto-fermented foods. We think the saurkraut and pickles that we buy in the grocery store are good for us. Unfortunately they are not the types of foods that we need to be eating. Pickles especially are often laden with artificial colors (yup….read the label). And these foods are made using commercial vinegar, not a culture or a whey to ferment naturally. I agree that we need to eat more fermented foods in our diet; I would include kefir, kombucha, and kvass in this mixture for those who like those foods. Want to make your own fermented food at home? It’s very easy…here’s a great lacto-fermented saurkraut recipe with pictures. Thirteen (plus) years of asparagus – I love asparagus. I planted some in my garden. This will only be it’s second year so we need to harvest with caution (it takes three years for an asparagus garden to be fully functional – or so they tell me). But I continue to read asparagus recipes and drool for the day that I can plunder with abandon and eat our fill of the tasty stalks. Of course that’s if there is any left. The little heads have started poking above ground and I’ve discovered that I made a vital error. When we have asparagus in our house we cut off the ends. Most of them go into the compost heap. A few we feed to the dogs, giggling as we watch them leap into the air to get these tasty-to-them tidbits and chomp down. Guess what? Turns out with their highly sensitive noses they’ve discovered that the tasty treats also grow in the backyard. Not only that, they’re *much* yummier as young tender tops. ::sigh:: Now to figure out how to protect the asparagus garden from the dogs so that we have some to eat for ourselves. Chocolate orange macaroons – I love macaroons, they’re one of my favorite treats. I often don’t take the time to make them though. But this recipe from Bauman College is enough to make me change my mind. The combination of orange and chocolate is one of my favorites. Add in that it’s in the form of a macaroon cookie? I’m in. What I’m reading? Digestive Wellness: Strengthen the Immune System and Prevent Disease Through Healthy Digestion, Fourth Edition I greatly admire Liz Lipski and this, her latest edition of this book, is a great book when it comes to understanding digestive health and it’s relationship to overall well-being. It’s a good idea to drink fermented beverages – they contain probiotics, or good bacteria, and are great for your digestion! Studies also show that probiotics help when you are depressed or anxious. Beneficial probiotics can be found in a number of foods, but they’re also found in fermented beverages such as kombucha or kefir. The best part is that you can actually make these delicious beverages at home. I have to say water kefir is my favorite when it comes to home-made because it’s so quick and simple. Dissolve 1/3 cup sugar with filtered warm water in a clean one quart glass jar. I like to use turbinado or rapadura sugars because they are not stripped of all their nutrients. Add water kefir grains (about 1 to 2 tablespoons). Place jar out of direct sunlight. Cover jar with a clean dish towel. Do a secondary fermentation by adding something to provide some flavor – I like ginger so I add 5-10 slices of freshly peeled ginger. Another option is a few mint leaves. Cap and let sit on the counter for 24 hours. Rinse your grains and start over for an unlimited supply of delicious and nourishing water kefir loaded with probiotics or good bacteria! For those of you who would like to try making water kefir at home Cultures for Health is a great source for your grains. They also sell a large number of other culture products for yogurt, sourdough, cheese and more. Carasi P, et al., Safety Characterization and Antimicrobial Properties of Kefir-Isolated Lactobacillus kefiri . BioMed Research International. 2014;2014:208974. doi:10.1155/2014/208974. Chen, HL, et al., Kefir improves bone mass and microarchitecture in an ovariectomized rat model of postmenopausal osteoporosis. Osteoporos Int. 2015 Feb;26(2):589-99. doi: 10.1007/s00198-014-2908-x. Epub 2014 Oct 3. This is a guest post from my friend and colleague Trudy Scott (CN). Trudy is a Certified Nutritionist and the founder of www.everywomanover29.com, a thriving nutrition practice with a focus on food, mood and women’s health. Trudy educates women about the amazing healing powers of food and nutrients and helps them find natural solutions for anxiety and other mood problems. Her goal for all her clients (and all women): “You can be your healthiest, look your best and feel on-top-of-the-world emotionally!” Trudy is also the author of The Antianxiety Food Solution. 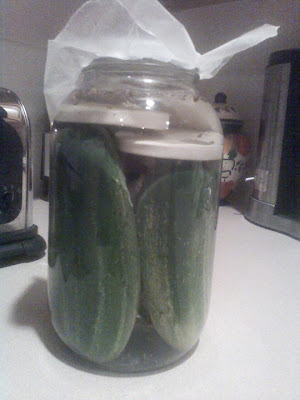 The post I wrote on lacto-fermented pickles seems to have generated a lot of interest. I’ve gotten quite a few emails from folks about it. I believe part of the interest is because many people are becoming more aware of the ingredients that are in their food. They no longer wish to consume artificial colors, artificial chemical preservatives and other ingredients that they can’t pronounce. Two interesting remarks came up. I had some people who were a little concerned about the idea of lacto-fermenting without the use of whey. Several people commented that in the book Nourishing Traditions by Sally Fallonshe uses whey. I’m certainly not saying that you shouldn’t, that is a very valid way to create a lacto-ferment. What I am saying is that whey is not strictly necessary if the brine is at the right percentage. The brine will protect the food until the natural lacto-fermentation process takes over. One person told me that living in a hot climate she keeps her air conditioning on and can’t get her house warm enough to get good fermentation going. In that case it is definitely a good idea to add whey as the pickles may not make a solid lacto-ferment otherwise. Adding 2 T. of whey should provide a good amount to kick off the ferment. Another person wrote that her grandmother taught her to put grape leaves in with the cucumber pickles because it helps make them crisp. This sounds like it could be a good idea. Grapes are also known for having a lot of natural bacteria so I’m sure the leaves would help the lacto-fermentation process along. To make your own whey simply take a 32 ounce container of plain organic yogurt, put it into a lined colander and strain overnight in the refrigerator. In the morning you will have a creamy Greek-style yogurt in the top of the colander and the clear strained whey in the bowl underneath. The whey will keep for a couple of months in the fridge. I use the whey for soaking beans, grains, and lacto-fermented foods. Back in May I attended the National Association of Nutrition Professionals Conference. One of the sessions that I attended dealt with naturally fermented foods. I’ve been canning and preserving for over 20 years, first as a way to preserve excess food for later or to control the flavors of jams, pickles and chutneys that our family ate. Later I began to see it more as a way to control the preservatives and other chemicals that frequently appear in these kinds of foods. Quite frankly I’ve never understood why pickle manufacturers felt it necessary to add yellow #2 to pickles. It doesn’t add anything to the flavor and if you want your pickles to be yellow just add turmeric. As I learned more I began to wonder about lacto-fermented foods. Through this process lactobacilli, an anaerobic beneficial microbe, converts starches and sugars in the food into lactic acid. This lactic acid helps not only to preserve the food for an extended period of time, it also helps to promote a healthy bacterial balance in your gut. There are many traditionally fermented foods such as sauerkraut, kimchi, relishes, and chutneys. Many of these foods are now made commercially, a process that frequently does not allow for lacto-fermentation. Part of the reason that commercially processed foods are not lacto-fermented is because it takes longer, requires more interaction with the food, and does not last as long on the shelf. I see lacto-fermented foods as an addition to my pickled vegetables. Let’s face it, confronted with an abundance of zucchini, there is only so much lacto-fermentation I can do. I’ll make my favorite bread and butter pickles and zucchini relish with the rest. The canned foods will last for a longer time and the lacto-fermented ones will support digestive health. Back to the conference. I took a class with Sandy Der and Nishanga Bliss where they demonstrated making kimchi and lacto-fermented soda. I had always thought that lacto-fermentation required a fermentation crock. Mostly because the books I have seem to call for one. Both Sandy and Nishanga demonstrated using 1 gallon glass jars. When Sandy demonstrated the kimchi she showed off her beautiful pickle weights which she makes in her ceramics studio. I was amazed at how easy the whole process was and as soon as the lecture was over I rushed for the door to purchase a set of pickle weights. Shortly after arriving home I dug out a one gallon jar, went to the grocery store and bought the ingredients for my first batch of kimchi. It turned out amazingly well and having a little bit every day with a meal turned out to be a most delicious way to add probiotics to my diet. I finished it very quickly and made some more; a gallon seems like a lot but when you are eating it every day it doesn’t last long. I then moved on to lacto-fermented pickles. The first batch smelled fabulous and pickled really well. Unfortunately I didn’t particularly care for the flavor. The recipe called for pickling spice. Now I have used pickling spice before when making vinegar preserved pickles and the flavor didn’t bother me then. I’m not sure if the lacto-fermentation process intensifies the flavor or if it simply is stronger since there is no pickling and no boiling. I wound up giving them to a friend who is from India and thought their flavor was great. Trying another batch this time I branched out and following the basic tenets of lacto-fermentation I made a brine but modified the flavorings. I’m waiting for this next batch to be done, frequently stopping by to enjoy the aroma of my fizzing jar of lacto-fermented pickles. I’ve been writing down my lacto-fermentation adventures on my Facebook Fan Page and have gotten a request for my recipe. This is a basic recipe, feel free to modify the spices to suit yourself. The most important parts are that the brine be a suitable strength to preserve the cucumbers until the lactobacilli take over the preserving process and that the cucumbers be fully submerged in the brine (hence the need for pickle weights). I made this recipe in a two quart jar as there are not that many people living in my house and a whole gallon of pickles plus a whole gallon of kimchi seemed like a lot. If you decide to make this in a gallon jar you will need to double the recipe.